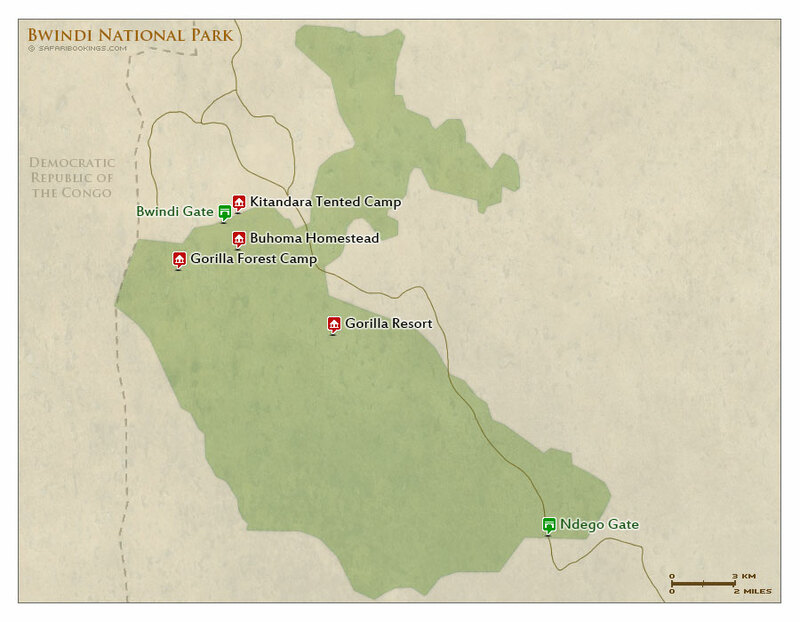 Bwindi Impenetrable National Park – Travel Guide, Map & More! 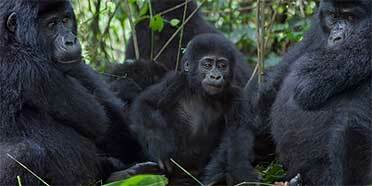 Bwindi Impenetrable NP is a UNESCO world heritage site and it is the best place in Uganda to track mountain gorillas. 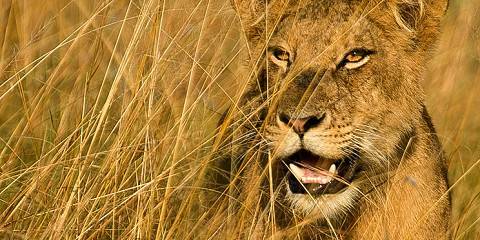 The park protects 40 to 50% of the world's population and has several habituated groups. The forest is also a bird-watcher's paradise with 350 species recorded, including many Albertine Rift endemics. Aside from the endangered mountain gorillas, nine other primate species are found in the forest. These include chimpanzee, olive baboon, black-and-white colobus and l'Hoest monkey. Elephant are present but seldom seen. Bushbuck and several types of forest duiker can sometimes be spotted. The park has a very impressive bird and butterfly checklist. Bwindi is a pristine rainforest on the edge of the Albertine Rift Valley. The terrain is a string of ridges and valleys covered in very dense, impenetrable forest. Bwindi has one of the most diverse species of flora in East Africa and it is harbors ten tree species, which don’t occur anywhere else in the country. 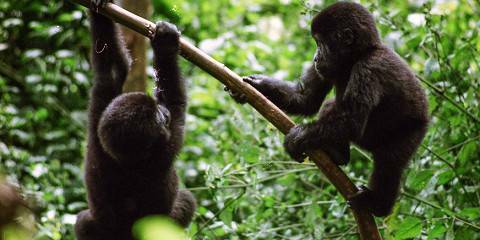 The rain rarely lets up at Bwindi, with the heaviest falls occurring from March to May and September to November. Pack plenty of wet-weather gear to combat the drizzle. The forest’s mild climate is easier to enjoy in the drier months (June to August and December to February). Tracking gorillas is best when Bwindi’s trails are not so sodden and the sunshine is greater (June to August and December to February). Slippery trails and unrelenting mist make wildlife watching more challenging during the wetter months of the year, although migratory birds do appear at such times. 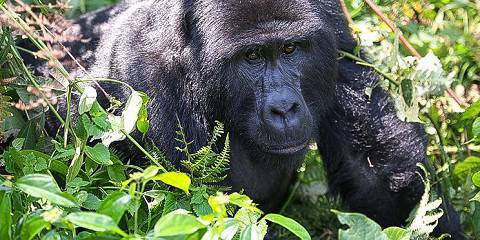 Want to Visit Bwindi NP? It was a wonderful experience Uganda's famous national park and I appreciate all their services.